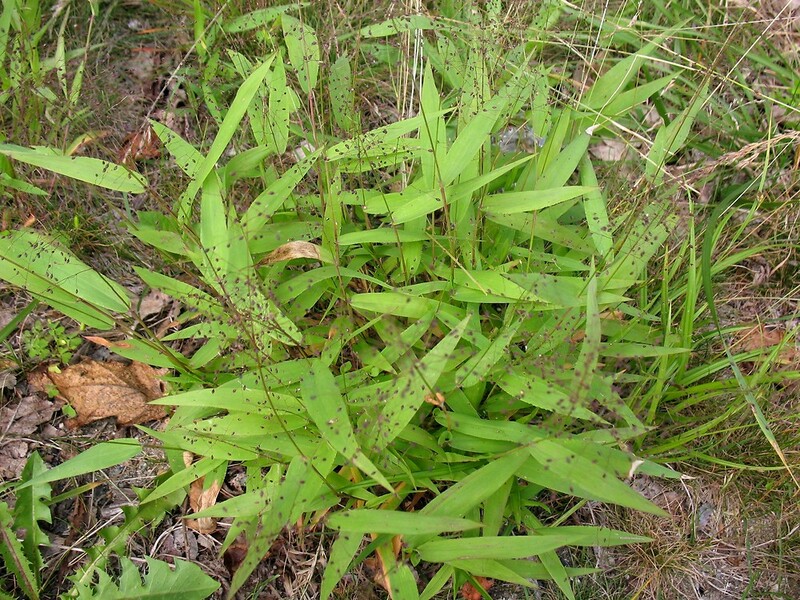 Northern rosette-panicgrass is native to eastern North America, though rare in many states. 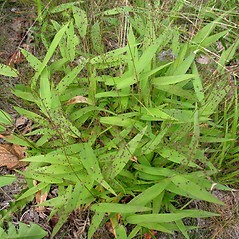 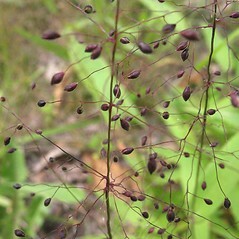 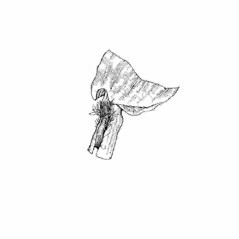 Widespread in New England, it is found in moist forests, clearings, trails, shorelines and fields. of hairs 1-5 mm long and spikelets 1.3-2.1 mm long (vs. D. boreale, with a ligule of hairs up to 1 mm long and spikelets mostly 2-2.2 mm long). 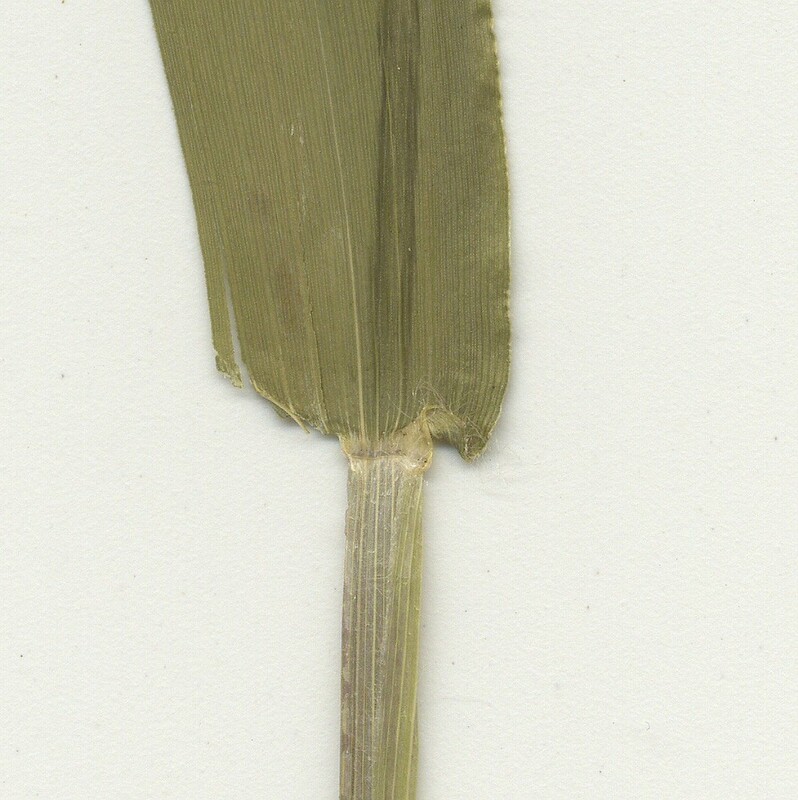 upper-most stem leaf usually spreading, spikelets glabrous or pubescent, 1.5-2.5 mm long, and nodes of stem glabrous or the lower nodes retrorse-pubescent (vs. D. boreale, with upper-most stem leaf usually erect or ascending, spikelets pubescent, and nodes of stem glabrous). 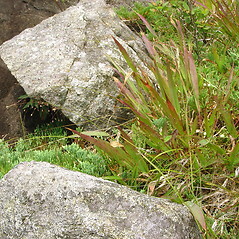 northern rosette-panicgrass. 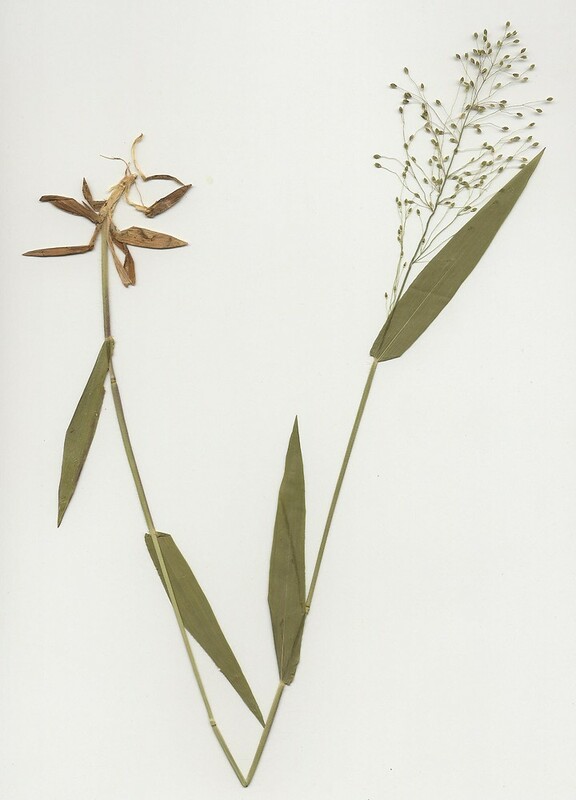 Panicum boreale Nash • CT, MA, ME, NH, RI, VT. Mesic forests, forest openings, trail edges, shorelines, fields. 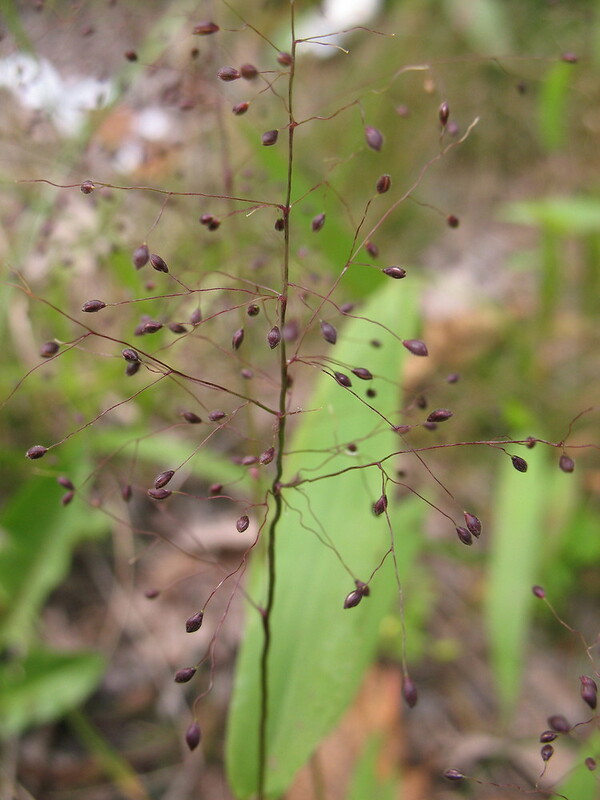 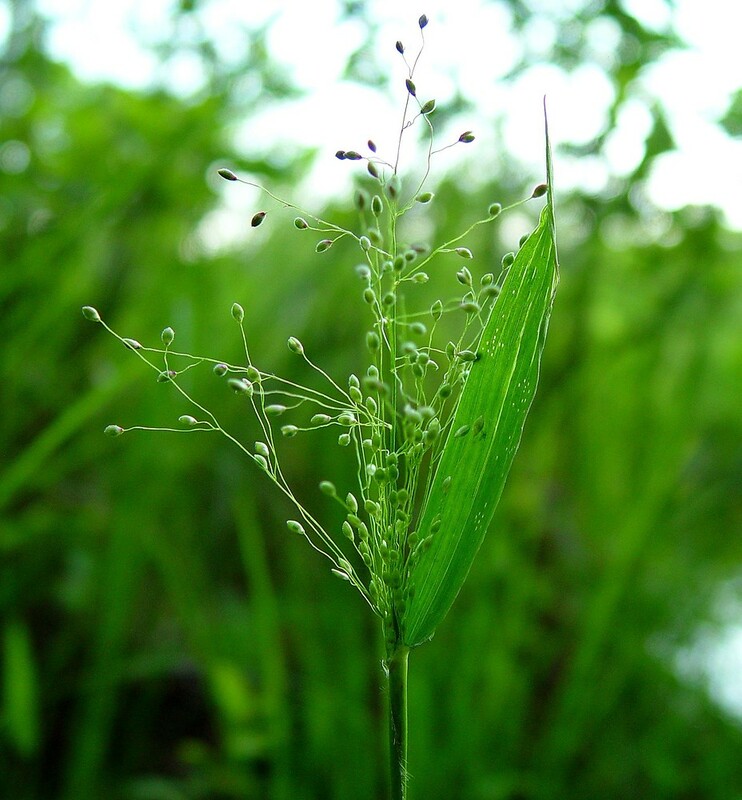 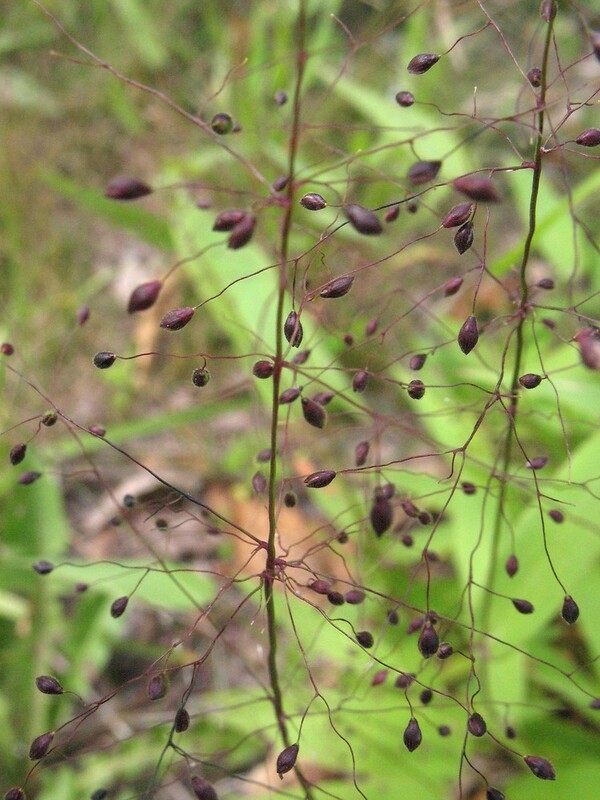 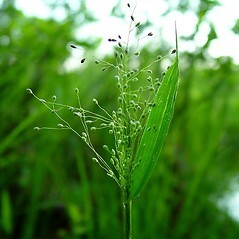 The names Panicum bicknellii Nash and P. calliphyllum Ashe have been considered as taxonomic synonyms of Dichanthelium boreale by some authors. 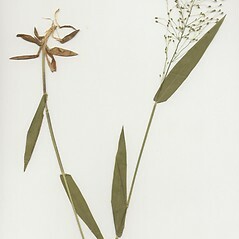 However, both are likely rare hybrids. 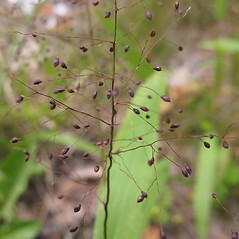 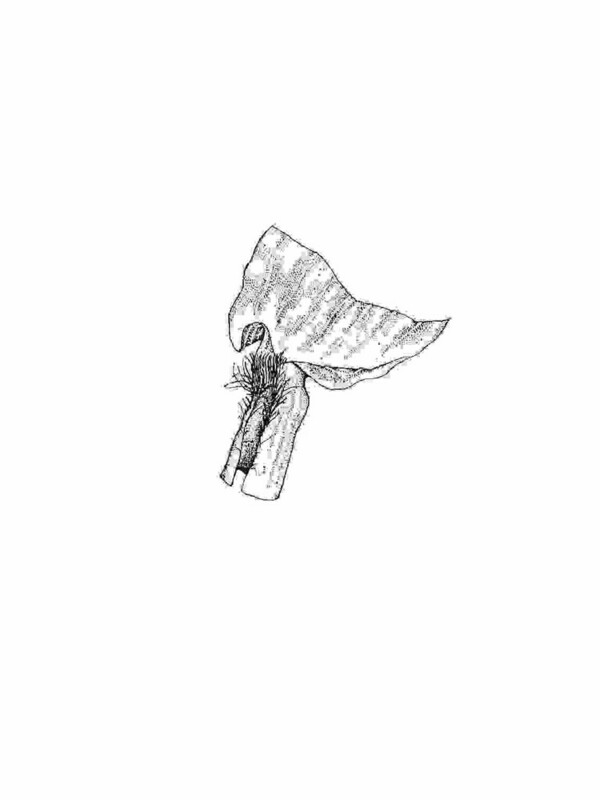 The former may be a cross between D. dichotomum ssp. 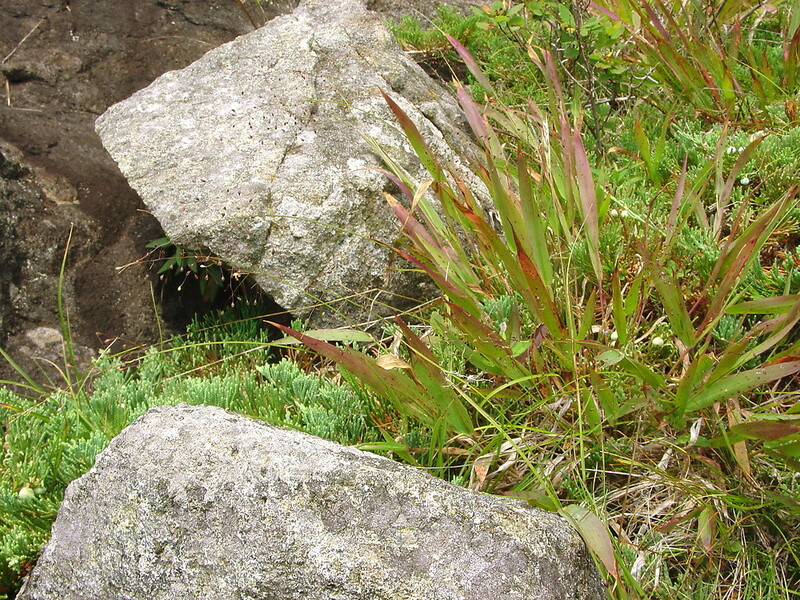 dichotomum and D. linearifolium, and the latter may be a cross between D. boreale and D. xanthophysum.